At least one in three lawyers and law students suffer from depression. A litigious culture, extreme hours and relentless pressure – both internal and external – can all take their toll. Young lawyer Jerome Doraisamy learnt the hard way how pushing yourself to the physical and emotional limit can wreak havoc on your mental health and wellbeing. Over an 18-month period starting from late 2011, he suffered from severe clinical depression. 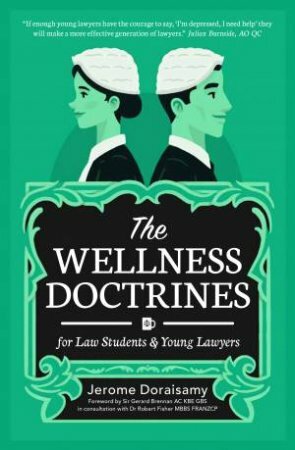 His first book, The Wellness Doctrines, addresses the crisis in the profession head-on, offering practical tools and guidance for young legal professionals via insightful case studies from academics, managing partners, senior solicitors, down to graduates and students.